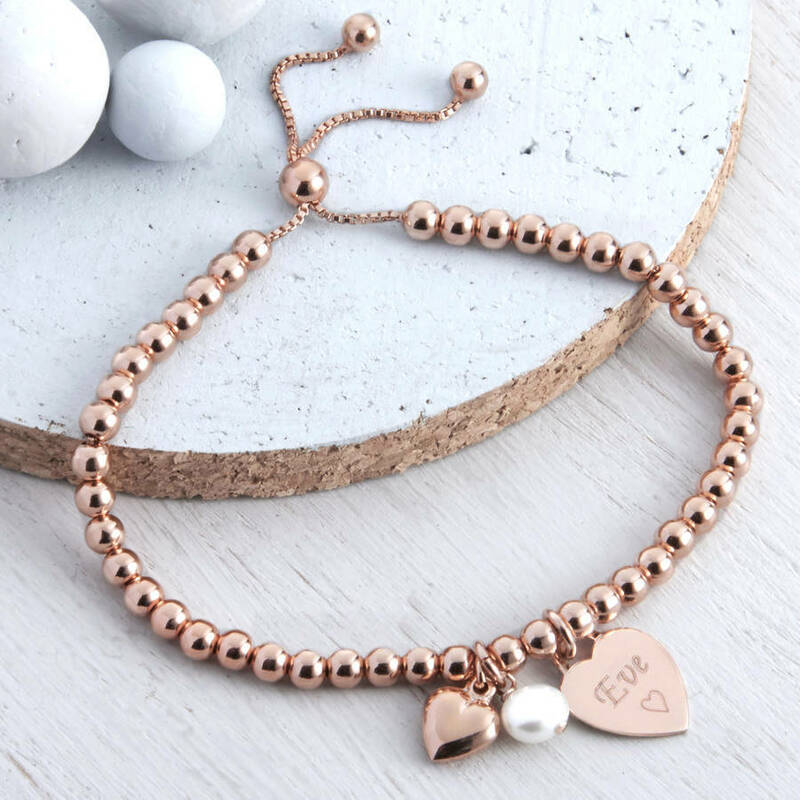 This pretty bracelet comes with a freshwater pearl charm, a pretty puffed heart and a rose gold heart or disc charm which can be engraved both back and front to create a very special piece of jewellery. Let us preserve your special words to create memorable pieces that really speak from your heart. Capture the sentiments of people you love and treasured memories. 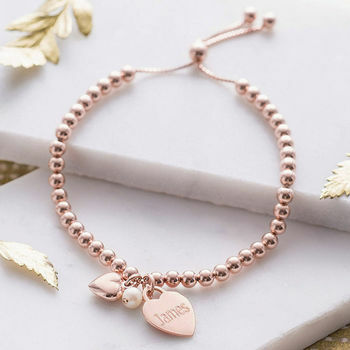 The charm can be personalised back and front with a name, date or symbols. We can fit up to 25 characters spread over 3 lines both back and front. The bracelet is adjustable and is opened and closed by sliding the slider along the chains. 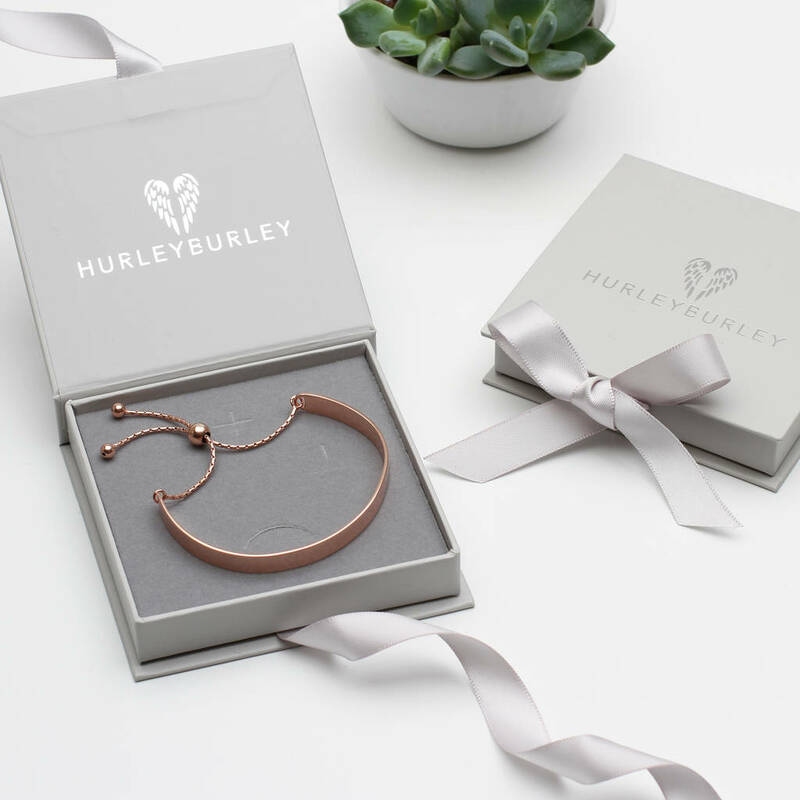 An ideal and beautiful gift for every occasion that will be treasured by the lucky recipient. We can engrave in a variety of fonts which are shown in the thumbnail pictures, please select your preference in the font option box. The choice of symbols is shown in the thumbnail pictures and we show how to express them in the option box marked 'How to express symbols"
Our symbols look best when engraved on their own, if you would like to add text, the number of characters we can fit on with the symbol is reduced. Please contact us via 'Ask the seller a question' if you would like help with your engraving requirements, we are happy to advise you. Personalisation is carried out in our workshop by our master engravers and usually dispatched the same day. Our standard postage is by Royal Mail 1st class post which has delivery guidelines of 1-2 working days but is not guaranteed to arrive within this time frame. We engrave our pieces to create bespoke items especially for you, we are always happy to try and help if something is unsuitable but we regret we are unable to offer refunds on personalised items.